The Daily Limit is located in South Kansas City just South of I-435 and Holmes. It is a great place to get a bite to eat after a round of golf at the nearby Minor Park Golf Course. 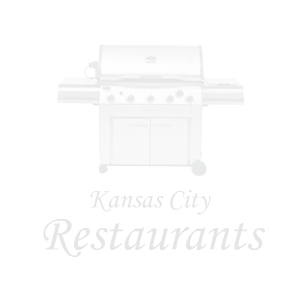 The Daily Limit features one of Kansas City's best hamburgers as well as Daily Limit specials every night of the week. You will blend right in with the regulars - don't be surprised if the person sitting next to you just starts talking to you like they know you - that's just how they do it at The Daily. Play along and tell a joke about a priest, a lawyer and a rabbi....you know the one. The Daily Limit features weekend live entertainment! One thing that makes The Daily Limit a great place to go is the live entertainment. The Daily Limit features some of Kansas City's best bands including Phil Callier and Jhamm. Most of the time you can even bring your own "axe" and sit in with the bands at The Daily Limit. Fast and friendly staff with a "down home" attitude, The Daily Limit is a great pit stop on your visit to Kansas City. 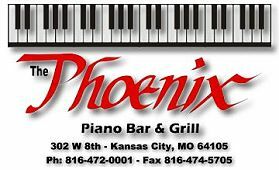 Featuring some of Kansas City's oldest jazz artists wedged into a corner the size of a bathroom, the super small Phoenix bar offers a meal that is up close and personal with the entertainment. With the tips coming into the piano player's kitty, you are bound to hear "Brown Eyed Girl" as many as four times per night. Welcome to the Sports Radio 810 Zone’s web site. We hope you enjoy it and the restaurant as well. The Sports Radio 810 Zone is a partnership between Union Broadcasting, the company that owns WHB Sports Radio 810, K.C. Hopps, Ltd., and some local financial partners. We are very proud of the food, service, atmosphere and feel that the 810 Zone is the premier restaurant and sports bar in the Midwest. We can work out creative arrangements to make your special event one that you won’t forget! Interested in a party for 200-400? Contact a manager about renting the Upper Deck. Contact information: contact Banquet Coordinator at Banquets810plaza@kchopps.com. Remember our Motto at the 810 Zone...GAME ON! Barley's Brewhaus opened its doors in the Greater Kansas City area in 1995 with its first location in Overland Park. Our second location opened shortly thereafter in the fall of 1996 in Shawnee. Micro brews, macro brews, and imports from all corners of the globe make up our impressive selection of 99 beers that we offer on tap (not to mention the bottled favorites we carry from season to season and throughout the year). 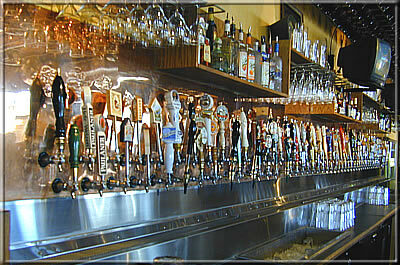 Barley's has THE LARGEST selection of draft beers in Kansas City - including locally brewed favorites. Who isn't excited about BEER? Let alone 99 fresh beers on tap accompanied by great food and world class service (and a little live, local music for good measure). 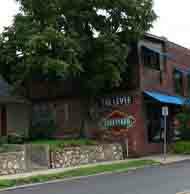 Barley's is the brewhaus to meet friends and family for lunch, after work and on the weekends. 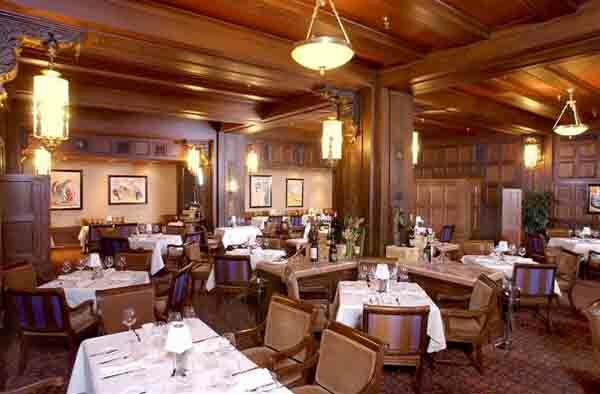 We offer a full-service bar, meeting rooms, banquet space, dining rooms and game room that no one in the city rivals! The Barley's Brewhaus in Shawnee has two banquet facilities that can accommodate intimate parties of 10 or get-togethers for 150. Knowing full well that man cannot live on beer alone (have you tried? ), Barley's also offers the best made-from-scratch menu in brewhaus history! With hand-cut Certified Angus Beef® steaks, sausages made in-house, and fresh features crafted from our own kitchen, Barley's menu has the perfect portions to compliment your pint! From our cheddar & ale soup, Serrano and Kielbasa Polish sausages to our fresh fish selections, pork chops, chicken and ribs, Barley's fare tastes homemade because it is. Late Night Happy Hour Specials starting at 10pm. Buy one appetizer, get the second at half price. Barley’s Brunch includes: a classic carved meat selection, chilled seafood display, array of fresh fruit, an abundance of decadent desserts, fresh homemade muffins, and all of your favorite traditional breakfast fare – now THAT’S brunch! Too Many Drafts To Choose From? Try One of our Beer Samplers. Since Prairie Village was first settled, numerous citizens have called the police to report a seven-foot tall, darkish blue beast with huge antlers wandering the streets and local parks. Over the years, the elusive and mysterious Blue Moose has been seen and heard but, fortunately, never smelled. Some say he’s merely a legend. Some say a figment of the community’s imagination. But we’ve seen the grainy photographs and have seen the plaster casts of his footprints. We’ve heard the old timers’ stories about their encounters with Big Blue. We know he’s real. And if he’s eluded capture for all these years, he must be the luckiest creature on the face of the earth. So we named our place after him. Because we know that he’s rarer than a four-leaf clover, more fortuitous than a horseshoe, luckier than any rabbit’s foot. Any encounter with the Blue Moose is a true harbinger of good food. Stop by the Blue Moose and your day (or night) is sure to get better. And always be listening for his call, it’s a sure sign that something great is about to happen. So hungry you could eat a, well, moose? The Blue Moose has a made-from-scratch menu that's bigger than the Moose himself. From favorites like fried pickles and pizzas tossed in-house to hearty pork chops, certified Angus beef burgers and steaks plus homemade desserts like our cheesecake-of-the-day and delish dessert of the month, you absolutely can't find any better. And our seasonal salad menu will keep you from wilting in the summer, taste crisp in the fall, sweeten your meal in the winter, and wake up your taste buds in the spring! The Moose has amazing drink specials! From our wine & dine Tuesdays to our infamous "cheap beer Thursdays" we have the best reasons to meet for drinks in the neighborhood. And stick around for late night - you just might become infamous yourself on our myspace page! At the Blue Moose everything tastes better al fresco no matter the season! Sure, we've brought the great outdoors indoors, but at the Blue Moose you can enjoy dining in the great outdoors, too, on either of our two comfy patios (one non-smoking, one smoking). Brunch, Lunch, Dinner & Drinks! We also have just-right bites for the kids! Kids of all ages and appetites are always welcome. Whether it’s for brunch, lunch, dinner outdoors, or around the fireplace, get everyone together at the Blue Moose! The 75th Street Brewery opened its doors and tapped its first keg in the fall of 1993. For over 13 years weve been busy pouring over 2 million pints of award-winning, hand-crafted ales in the heart of Kansas Citys historic Waldo district. 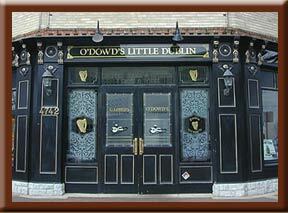 Things have been great ever since Great Beer, Great Food & Great service. Let us entertain you with live entertainment every weekend featuring Brew Jam (Kansas City's longest running acoustical jam) every Sunday night! Meet friends and family in our cozy Nest or comfortable Family Room reserve either when you need to get together! Cheaper mugs of hand-crafted beer for Mug Club Members only (join up anytime)! Wondering what to pair with a pint of Possum Trot Brown? Anxious to order something awesome to eat alongside a Muddy Mo' Stout? Looking for a sandwich that compliments an IPA? You're sure to find something that suits your taste on our massive menu! From our famous London Fish & Chips to our classic pizzas crafted in-house, the flavors are fabulous! Check out our weekday specials, too. Every Monday through Friday - we've got featured favorites for lunch AND dinner! Check out our soup du jour, fresh fish of the day, and unique lunch and dinner features every day. The Nest gives you and your guests a birds-eye view of the brewery from our indoor "balcony." It accommodates up to 25 for a sit-down meal or up to 30 for a casual cocktail party. The Nest is the perfect place for a business luncheon or a birthday party. The Family Room is a private room right next to the Brew House but far enough from the dining and bar area to be private. It accommodates up to 50 for a sit-down meal or up to 80 for a casual cocktail party. The Family Room is the perfect place to hold a party for a little league baseball team or to have a wedding rehearsal dinner or reception. The Daily Limit is located in South Kansas City just South of I-435 and Holmes. It is a great place to get a bite to eat after a round of golf at the nearby Minor Park Golf Course. The Daily Limit features one of Kansas City's best hamburgers as well as Daily Limit specials every night of the week. 12 Baltimore Known for upscale lunches, cool martinis, and relaxing happy hours. You'll find a large collection of wines by the glass and premium liquors. Serving breakfast, lunch and dinner; ask about our To Go menu. Call 816-346-4410 for more information. Enjoy live entertainment on Friday and Saturday nights, featuring some of the city's top musicians including The KC All Stars, Kansas City's best live band. 12 Bean Barista Located inside 12 Baltimore, features specialty coffees, breakfast sandwiches and pastries. Sunday Brunch at 12 Baltimore Every Sunday from 8:30 a.m. - 12:30 p.m.
Complimentary Wi-Fi is available for patrons of 12 Baltimore. About The Hotel Phillips - Conveniently located in the heart of downtown Kansas City, Missouri, Hotel Phillips offers instant access to the convention center district. It is also a short ride to Kansas City International airport. Located just two blocks from The Kansas City Convention Center, Hotel Phillips is close to many attractions including the shops, dining and entertainment of Crown Center and Country Club Plaza, as well as the twin stadiums of the Truman Sports Complex and the Nelson-Atkins Art Museum. A new $300 million Performing Arts Center to be built downtown will place Hotel Phillips squarely in the center of the city's Arts community. THE LEVEE has been one of Kansas City's favorite nightspots for nearly fifty years. Located in the heart of midtown, The Levee is perfectly situated between the shops and restaurants of the Country Club Plaza and the abundant nightlife found in nearby Westport. 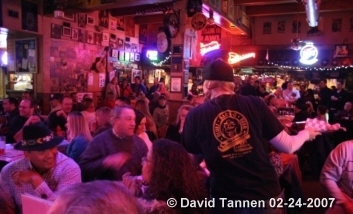 Downstairs, the crowd tends to be on the ghetto side and they feature live music by talented local musicians every Wednesday through Saturday. Upstairs, the crowd is more college and post-college "wish they were still in college" folks and they have a sports bar that features several HD plasma televisions that are tuned to local and national sporting events. The Levee has several outdoor seating areas that are open from early spring through late fall, and our private party facilities are popular with businesses, schools, groups, and individuals alike. We have rooms suitable for birthday and holiday parties, rehearsal dinners, anniversary parties, as well as executive luncheons & dinners. So, whether you are looking for a place to watch the big game, catch some live music, or hold a special event, The Levee is the place to be. THE LEVEE continues it’s long history of live, local music by hosting some of the Kansas City areas longest running, if not the best bands. These talented musicians take the stage every Wednesday through Saturday evenings to perform current and classic pop, rock, & funk cover songs ranging from the 1960’s to today. Tomfooleries Restaurant and Bar, located in the Country Club Plaza in Kansas City, Missouri and the NEW Tomfooleries located in Zona Rosa in the Northland of Kansas City, Missouri offers a unique & fun dining experience for all! Our new menu is packed with tasty specialties and favorites prepared by our chefs. Tomfooleries serves an all you can eat breakfast buffet on Sundays (Sunday brunch). On the weekends, be sure to try our Bloody Mary Bar featuring more than 100 ingredients you can use to make it just the way you like it! Bringing the kids with you? Our Kids Menu is sure to please! Have a catering event coming up? Be sure to check out the tasty selections available from our full-service catering division. Out for some nightlife? 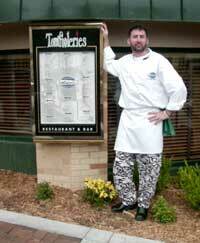 Tomfooleries features live entertainment on Sundays, Mondays, Tuesdays, Wednesdays and Thursdays. Check our entertainment schedule for current listings. In addition to our fully-stocked bar, we always have drink specials during our regular and late-night Happy Hours. Lived Thomas Skelton, the "Late Fool of Muncaster Castle", on the shore of Ravenglass in the Western Lakeland of England. Serving as Court Jester in the late 1500's, Skelton's antics gave birth to a new word ... "Tomfoolery". Thomas is still rumored to haunt the castle at Muncaster, looking for something to eat.